As each and every one of you reading knows, we are inching our way closer to Set 2, and everyone is very very excited about that here are RNG Eternal. Before you know it the spoilers will be hitting us hard and fast to the points that our heads will be spinning! 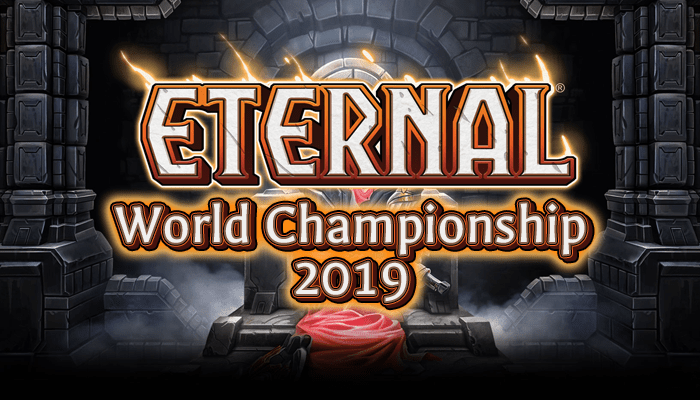 Although that excitement is very real, RNG Eternal thought that we would send off Set 1 with “Retrospective Week”. Not that it is going anywhere, we are just going to be focusing on a whole new cadre of decks and cards moving forward. We just want to pay respect to all the fun we had with The Empty Throne before heading into Set 2. So, to kick things for RIP Set 1 Week I am going to do a “Top 10 Decklists” article. What do I mean by this? I am actually going to be fairly exact, in that I am focusing entirely on specific decklists that people posted about and shared that made a big impact on the game. Are these the best versions of the decks? Not even close, and in some cases I would say they are almost unplayable in their original form, but these were the prototypes that eventually gave birth to the decks that have defined the metagame, and disrupted the environment. I don’t want to diminish the contributions of the various deckbuilders that developed tech cards and polished existing list, but rather I am focusing on real breakthroughs that set laid out the groundwork for the future. This is an attempt to capture the history of the “Empty Throne” metagame by looking at some of the most innovative and influential brews. Elysian Midrange is a deck defined by playing a curve of big smelly animals, and hitting your opponents with them until they die. The deck has existed in one form or another since the early beta, but the list that was most definitive was lv13david’s edition that he took to the top of ladder, and did some damage in tournaments at the time. Overall, this is a deck that has been a relatively consistent ladder performer, and although lv13’s list was one of the best early versions, there have been very little in the way of breakthroughs, meaning it does not crack the top 10. This is like the meme deck that grew up to become a real boy. Kalis is the perfect split between the Timmy/Tammy and the Johnny/Jenny psychographics – assembly this fancy engine to built massive Swords that you use to slaughter your opponent’s entire board. Though this deck is sweet (and cheers to ManuS and others for making improvements on it) I don’t feel that it ever quite had the penetration to really shake up the metagame. Peppr’s Killers employed some interesting technology. The name of the deck (Editor’s note: Which was originally “Serial Killers”) came from the use of Predatory Instinct, which obviously synergizes with many of the units, such as Dawnwalker and Copper Conduit. It also did a great job of showcasing the power of Beastcaller’s Amulet, a card that was not really respected at the time. Although a blast to play, a nerf to Dawnwaker, as well as the incidental hate cards like Steward of the Past have really sat on this deck. Some elements of the innovations have moved into other decks, and I wouldn’t be surprised if something of this style resurrects in Set 2 (keep your eyes peeled for a respectable 3-drop). Back when RNG was actually good at Eternal (Editor’s Note: No comment on RNG’s Eternal skills, but at least he knows how to use WordPress, unlike Neon), he we responsible for making some influential decks! Although this is the only one to break the top-10 list, it was certainly a very important deck, if for only a limited time. I actually remember chatting with RNG the night Scouting Party was released, where he began brewing lists built to turbo power The Witching Hour. This first list would be best described as a combo-control deck, which would kill things and stave off aggression for the first several turns of the game, until it was able to drop a fully powered Champion of Cunning along with a swarm of yetis, or a the 4 horsemen. For those who were not aware, at the time Champion of Cunning was a 4/4 that gave your team +1/+1 and flying for PPPPP and +1/+1 and charge for SSSSS. This means that Party Hour could routinely do 30 damage from an empty board with Champion of Cunning + The Witching Hour. Good clean livin’ if you ask me! Often times RNG is not remembered as being particularly involved with the Party Hour deck, as the concept was in the collective conscience at the time, but it was certainly RNG who put out one of the first lists/articles on the subject. I took the decklist picture from the original article and you can see that he didn’t even have 4x Scouting Party yet! Future lists became less focused on powering out The Witching Hour by either focusing more on control elements (which CovertKiller used to win a tournament), or incorporating more units to develop a more midrangy approach (like Truedawn, who took second in the same tournament). Ultimately, this deck is last in the rankings not because of its impact, but because of its brief lifespan. The Witching Hour was changed to only count non-power cards shortly after the release of Scouting Party, as well as Scouting Party and Champion of Cunning being nerfed as we moved to open beta. It was fun while it lasted, but if there was ever an Eternal deck that needed to be nerfed, this was certainly it. The original rendition of Chalice decks first showed up last summer, but were never refined to a point where it would have consistent finishes at the top of the ladder. Since that time the archetype was essentially abandoned by the community as a whole, but Ecv managed to revive it! The deck’s popularity really ballooned after Mouche’s 2nd place finish at ETS, as well as LightsOutAce’s article on the deck. Given that Chalice is still fresh in the minds of everyone, I feel it is not really necessary to describe how the deck functions in much detail. Play dorks, draw cards, and don’t die, and eventually Channel face until your opponent stops playing. What is most genius about this list was just identifying that the metagame had slowed down to the point where this style of deck has a chance. This selection may be the most controversial on my top 10 list. Chalice’s heyday has already passed as people have adjusted their decks, and learned how to navigate the match up. What is most important to me in this case is the impact on the metagame. After Rapid Shot was changed many people thought the ladder was going to be overrun with Big Combrei decks, with no real opposition. That has certainly not been the case, an Chalice is a big part of that. Unless Combrei is able to go over the top with Vodakhan, the Chalice deck is just way more powerful once its engine is fully operational. This has had cascading impacts on the environment, and caused the resurgence of Rakano aggro as arguable the best deck at every level of play. Chalice is a fascinating archetype, and although its peak is possibly behind us, this is a deck that could easily get new tools in the near future. Though recent, I feel this deck was exceptionally influential. In an article about the most influential decklists, I actually have an inclusion where I don’t even have the list. Huh? Well, I wish I could give a better reason, but unfortunately Chrno’s specific list is lost to the sands of time (unless someone can find it for me). Despite this, the contributions of Chrno’s list are fairly easy to recall. Chrno was the one that figured out Silverwing Familiar + Deepforge Plate = dead opponent. Although this seems unbelievably obvious, Silverwing Familiar was not respected at the time. Sword of Icaria had been everywhere for a time, but the emergence of Bandit Queen decks really pushed Rakano and Armory out of the metagame. With Familiar + Weapons, Rakano once again had a path to victory in such matchups, especially since Deepforge Plate was a +4/+4 for 4 rather than a +5/+5 for 5. If memory serves, this deck also included the Rakano Artisan (which was a 2/2 at the time) + Ornate Katana package, which provided additional avenues to build a battleship out of a pigeon. EDIT: Jaffa contacted me and said he actually helped build this deck with Chrno, and was able to find the decklist for us! Huzzah! My memory was fairly accurate, with the exception of the inclusion of Ornate Katana, which was not in the original build. It should also be noted that incorporating Rise to the Challenge was another neat piece of tech that has seen situational play since that time. This build also killed many of the sacred cows of the deck, such as Pyroknight, Fearless Nomad and Rakano Outlaw. This was certainly a bold take on the archetype at the time. Feln Control has existed since the beginning of the beta. In fact, if my memory serves, some version of budget Feln Control was the first deck I ever built, and I know many other that were the same. Despite the ubiquity of the archetype, this particular list was by far the most influential. SirRhino used this list to win one of the tournaments before the ETS, and although this list may look a bit bizarre in some ways, it was able to ravage a field defined by Combrei and Queen. What is so important about this list? I can actually point to one card that revolutionized the way Feln lists were built– Withering Witch. One card may not seem like such an innovation, but it made a huge difference to Feln’s match ups. Before this point Combrei was actually a problem match up, since Feln did not have a method to punish Combrei’s over-commitment. Now, Feln could crush any midrange deck that needed to flood the board to pressure the control deck. This plan also rewards the inclusion of Staff of Stories, which became a staple of similar lists moving forward. It should also be noted that Feln Bloodcaster was not always considered an automatic inclusion in Feln Control decks. Originally she had a near useless Summon effect, but she was changed to a slightly unusual Ultimate. When the change was made the community was divided at first. 7 seemed like a lot of draw 2 cards, especially when one of those cards could be essentially useless. It soon became clear that the 2/5 body was great in the aggro match ups, and the draw effect was exceptional in the more controlling match ups. In addition, Bloodcaster casually incidentally hates on warcry, which has always been a weak spot for Feln control decks. SirRhino was not the only one to incorporate the card, but this list really formalized it as an auto-include in most Feln Control decks. In some respects, what this deck includes is almost as important as what it doesn’t include. How many Vanquish targets are in this deck? 0. How many Torch targets? 0. What about annihilate? 0. Storm? 0. By blanking the opponent’s removal, you get a sort of virtual card advantage that is very advantageous. His finishers rather focused on dodging removal, either leaning on Black Sky Harbinger, The Last Word and Dimensional Rift (which was removed in the Open Beta changes). Although these specific finishers have not be exceptionally popular moving forward, the core of the deck has been used in countless Feln Control variants. One important deck was the Felnscar Control deck I built to combat the Shimmerpack-saturated metagame that defined January. Though I feel this deck was exceptionally influential in the construction of many Feln lists, the archetype as a whole has rarely held a large share of the metagame, and as a result SirRhino’s Feln Control comes in at number 7 on our top 10 list. This deck probably requires a little explaining for those who did not play in closed beta, as several cards have been changed. First, Azindel’s Gift was once 7S rather than 7SSS, which explains splashing such an unusual card (Steward of the Past was also just 4S at the time). Second, the original version of Secret Pages was essentially Find the Way, but the power was not depleted. Finally, this deck used Push Onward, which was like Quarry, except you looked at 3 cards rather than 2. With all that out of the way, we can begin to explain what is happening in this slightly unusual deck. Although this deck may seem like a disorganized mess with a horrible powerbase and an unfocused amalgam of Combrei midrange and Feln Control, the deck functioned with a shocking consistency. In fact, 4F Control often felt like it could just beat everything. The secret to the deck was the combination of Secret Pages and Push Onward. Although the card looks exceptionally innocent, Secret Pages in its original form was too good. This deck was really 3.5 Factions, and even though it had TTJJPPS requirements, it felt much better than Armory does now. Where Secret Pages fixed your power, Push Onward fixed the rest of your draw, drawing you into whatever you are looking for in a given match up, and moving through your deck. Where this deck was greedy with its powerbase, it was disciplined elsewhere. The Combrei 2-through-4 curve plus Lightning Storm was an exceptional base to flatten aggressive decks, but this was hardly innovative. The real twist was Azindel’s Gift. I remember when I first read Azindel’s Gift I thought it was total trash. It is clearly rubbish against aggressive decks, but would it even be good enough against control? Can’t they just play out their stuff and beat you anyway? Turns out this is a card that really requires actually playing with it to understand. Most control (and even many midrange) decks are totally crippled by Gift. I imagine that most people reading this have played with or against this card at some point, so I will restrain myself from explaining how it warps the game. In the context of this deck, 4F Control now had an angle to decimate other control and midrange decks. Without Gift the top-end of 4F could be overpowered by many opponents, but with any game where Azindel was able pass off his present usually ended shortly thereafter. This list is admittedly rough. The numbers are truly inexplicable, as is the omission of Celestial Omen, but these things were smoothed out in subsequent versions. I should note that unlike many of the other decks, Finkel was responsible for many of the upgrades that followed. Someone like Chrno from #8 basically fell into obscurity but Finkel was pivotal in many of the subsequent improvements (this is true of his Shimmerpack deck as well). As you can imagine, this is a list that is very amenable to customization. Though this was totally ravaged by the changes going to Open Beta, during its heyday Finkel was able to pilot it to #1 ranks for multiple seasons. If this were still a viable archetype today I expect it would be much higher on the list, but it being responsible for multiple nerfs as well as a number of top ladder finishes is enough to warrant its inclusion on our top 10 list. Of the decks on this list most that still exist have been dramatically changed over the time since they were first introduced. In most cases I am point to a few innovative card choices that set the pace for the future, but in the case of Munky’s Big Combrei, he basically had it right back in August. I think if someone were to play this deck on ladder today they could post a positive win rate. The only card that really sticks out as an unusual inclusion is Ancient Lore over things like the 4th Mystic or possibly some copies of The Great Parliament. It is almost unbelievable how well this list holds up almost a full year later. It is all well and good to say that almost nothing has changed since August, but what was actually innovative about this list? The most important was the inclusion of Harsh Rule. I am sure that new players to the game are still confused on why such a unit heavy deck jams 4 sweepers to kill all of their own stuff. The reality is actually slightly more nuanced. Your units are extremely polarized in their value. There are the utility units that stabilize the board in the early turns, and there are the top-end cards that can win the game all by themselves. These early units are totally unimportant in the grand scheme of things, so losing a couple in a Harsh Rule is not a big deal. On the other hand, the top-end cards are so powerful that you often win if you are able to plant them on a stable board. Harsh Rule also provides a powerful catch-up tool, since Combrei can often be clunky out the gates. I should also mention that Harsh Rule was devastating in Combrei at first since most people did not respect it, or know how to adequately play around it. In addition to the technology of Harsh Rule, Munky’s list is also the first I was able to find that utilized Mystic Ascendant and Marshall Ironthorn. The “empower bros” gave you the card draw necessary to overpower opponents. It is amazing to think that there was a time when Mystic Ascendant was not really played, but now he is a fundamental part of many Time decks, and is an auto-include in midrange or control oriented Combrei. This deck is also a clear influence for Jaffa’s Combrano list and Finkel’s 4F Control list that were each important for their own time. Though many of the pieces of this deck pre-dated Munky’s take on the list, his is the first I can find to include these essential elements that define the deck today. Minor changes to some card have been made since this was originally built, but nothing substantial (to the chagrin of many of Titan’s naysayers). Munky’s contributions are easily forgotten, and some credit my Combrei mirrors article for many of these innovations since I was the first to write about them, but ultimately I think this was the progenitor decklist. I am very curious to see if Combrei continues to be playable in its current form moving forward. Finkel is the only player to make it onto this list to make it in twice. He is also a friend of mine, so I am going to take the opportunity to grill him a little bit. This is a really weird take on Shimmerpack. Granted, this was right after the wipe, which excuses some of the bizarre choices here, but I don’t think I can accept any explanation of why this deck should include 2 Ephemeral Wisps and 2 Amaran Camels. There seems to be a Chalice sub-theme, which is obviously a great combo with Xenan Obelisk. All that being said, this list made a really big impact immediately. During closed beta Shimmerpack only allowed you to target a player. Every unit they controlled became a copy, and you had no opportunity to pick off individual problem units, or save some of your own premium duders. As soon as it was announced that Shimmerpack was changing, everyone knew it had very real potential, but Finkel was the first to convert this into real ladder success. This is not a deck that requires much explanation, other than saying Xenan Obelisk is a very powerful card. Obelisk decks have experienced something of an ebb-and-flow of popularity, but it is very clearly one of the most defining cards in the game. By combining value critters, Obelisk and Shimmerpack, you could find ways to counter all variety of decks. Though Shimmerpack has receded some in popularity as of late, the core of the deck is very powerful and consistent. As long as attachment hate stays at a manageable level, Obelisk decks will remain an important part of the metagame. The storyline of Bandit Queen going from an unknown entity to metagame all-star is actually interesting to track. I actually remember it distinctly, partially because I was involved! It seemed to me that Bandit Queen was a powerful card that was not getting respect from the community, and I put together some list that was extremely rough. I had moderate success, and began discussing it in Discord, which Xsratsa picked up on. He then did his own build of the deck, and while it is sketchy by today’s standards, it was a massive improvement on my list. Even then the deck was had only picked up minimal traction, until Darkhannds played it to second place in a tournament. At this point it set off like wildfire, to the extent that half of ladder were Bandit Queen mirrors. I am not going to spend much time criticizing the specifics of the list too much, as there are many questionable decisions that should be self-evident. I don’t believe there is any universe in where 3 Champion of Chaos is correct, and the mix of 1-drop is perplexing. What I will draw attention to are the 3 cards that have been nerfed from this deck since it was originally built. To begin with, Bandit Queen herself was once a 3/3. According to legend this was a typo in the card file, and she was originally meant to be a 3/2, but I have not personally heard that confirmed by DWD. Madness was also once a 2-drop, which of course made a combo with Burn Out, which originally cost 3. The change to Madness had a lot of effects, but I feel fairly strongly that they were for the better, as block was near impossible against fully powered bandit Queen decks. Although Xstrasa was the first to draw attention to the deck, I want to give a shout–out to SirRhino who was the first to incorporate Jito into the lists. Although he has clearly fallen out of favour since that time, that is because it was nerfed in part because of this deck. That made a big difference in giving a pump to an already exceptional archetype. This deck earns such a high spot not because of its refined deckbuilding, but because of its reverberating influence since that time. Although Bandit Queen variants have not always been tier 1, there was never a time where you could not climb to Masters with a Queen list. It is hard to imagine a time without it, but such a time did exist, and Xstrasa deserves the credit for bringing us this archetype! The origins of this deck are slightly murkier than some of the others. LocoPojo used a deck he referred to as Stonescar Maulers to good effect in an ETS event, which utilized some less popular cards to trade with the opponents resources, while netting some chip damage. At the time Obliterate and Flame Blast were actually not very popular, so his deck was clearly very innovative, even if it did not translate well into ladder success in the immediate future. Around the same time, LighteningBall wrote about this deck, which utilized some of the key elements of the Bandit Queen lists, but mixed in some of those obliterates and Flame Blasts as extra removal/reach. Shortly after this the wipe hit and suddenly everyone had their own Burn deck, with Unearthly’s build I discussed on the site being one of the most important. In this case, I am going to give the credit to LighteningBall, but I feel all these players made very real contributions to the archetype. Although the origins of the deck are complex, the deck is not. Use units to pressure your opponent in the early game, than kill them with running Obliterates and Flame Blasts. What is most surprising was how long it took for people to identify Obliterate as a powerful card. It is a slow card, and it is easy to say most aggro decks don’t want to play 5 drops, but it feels as if the redraw system of Eternal seems to favour aggressive decks with a slightly higher curve. In addition, just being able to clear out a Sandstorm Titan is often worth a ton, especially since you get to skip on traditional kill spells. The one piece of technology that LightningBall uses here that is worth special mention is Rapid Shot. Up until this point I think Rapid Shot was not respected. Those of us that come from Magic are just used to pump spells being too low-impact for high level constructed play, but DWD made sure to push them to the point that they mattered. The popularity of burn peaked right as open beta hit, setting in motion the series of events that would later making Shimmerpack and Felnscar popular. It is fascinating how these chain reactions occur, and it is clear that LighteningBall’s Burn Queen was an important contribution in that ripple effect. From the moment I thought to write this list, I already knew what my #1 deck would be. ThatOneGuy was by far the most influential member of the Eternal beta in the earliest days. From what I understand real life commitments stopped him from continuing in the game, but maybe he will be back one day! That being said, take a look at the very first version of Armory, a deck that is very relevant even today! Like most of the decks that have maintained its relevance, the genius of this list is easy to miss. My respect for the deck really comes from the novelty of the archetype. Rakano Warcry obviously uses units that maximize an Eternal-specific mechanic, but it is hard to say that slapping together a curve of aggressive units plus some buffs and burn is really thinking outside the box. Armory is an entirely different animal. Relic weapons are a unique game mechanic to Eternal, and although they have some similarity to weapons from Hearthstone, there are many important differences. I am going to restrain myself from gushing over the innovative decisions made by DWD related to the relic weapon mechanics, but what is most important is that they allowed for a “weapons matter” archetype to exist. This initial take by ThatOneGuy takes this to an extreme, and basically built a deck that packed as many weapons as possible. ThatOneGuy was very successful with this list, in many ways because of its unique playstyle that many would struggle to adequately counter until much later. Although ThatOneGuy’s list was incredibly influential and innovative, this initial take on Armory is…. rough…. to say the least. Before being too critical, we should remember that this was a different time. The most popular deck by far was Rakano Warcry, and this list could be the crap out of it even without Torch. Some of the slots in this list have been absorbed by Throne Warden, which was released over 6 months after this list was first published. Very few people had the collection to play decks like Big Combrei, which was a clear weakness to this list (0 Vanquish??). ThatOneGuy really pushed the relic weapons in this list, with a full 16 (plus 2 Treasure Gates)! The power base here is also a crime. 26 power + 4 Rolant’s Favor is not even close to enough, especially when you are playing 2(!) Sword of the Sky King, and 4 6-drop weapons. I’d also like to bring up the fact that this deck is playing 0 Torch. It is playing 3 Lifedrinker over the first Torch. Let that sink in. Although this initial take on Armory has many unusual card choices, and lacks some of the more recent additions, it can certainly be recognized in its offspring. Armory is actually a very controversial deck, loved by many and hate by others. It has even seen long periods where it was virtually unplayable. At this point it is difficult to guess where it will be positioned after Set 2, but I have no doubt that some deck will eventually rise up to incorporate the core of the deck to cut their opponents down. For those who were not there, this journey starting over a year ago has been a totally blast. Now we get to prepare for a whole new journey through Set 2! You may be the person who gets to be the person to build the most influential deck going forward! I can’t wait to see what happens, but I expect that we will get to see the hints of it starting very soon. Until next week! That would be nice, but it involves some functionality we don’t currently have. This article is awesome, Neon. Man some of those decks take me back, although I seem to recall Kalis being somewhat popular on ladder before Jarboe played it heavily. However, perhaps Jarboe is mentioned because he popularized it by playing it in the ETS. But man, Party Hour was the deck to beat. I remember screaming about how busted it was back in the day when i didn’t have 4 witching hours haha. Then it got nerfed to hell…..and now NOBODY plays the card. Kinda sad. I’d love if set 2 at least made witching hour somewhat playable again :).